Nestle India, facing trouble for the last several weeks over the ban on its popular Maggi noodles, has got major relief today. The Food Safety and Standards Authority of India (FSSAI)- approved laboratory of Central Food Technological Research Institute (CFTRI) has found Maggi noodles to be in compliance with the country’s food safety standards. 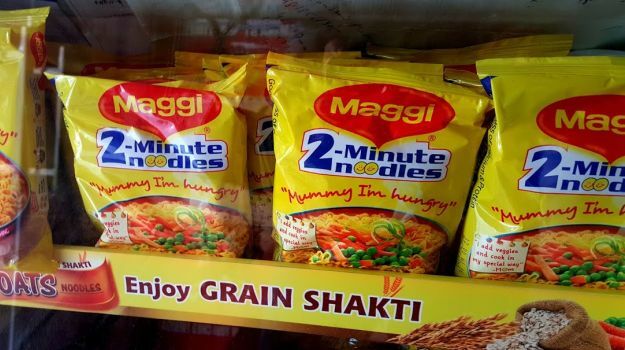 CFTRI had tested five samples sent by Goa Food and Drug Administration (FDA) when Maggi was banned in June in the wake of findings that the instant noodles brand had lead beyond permissible limits. PTI reported Goa FDA Director saying that CFTRI finding shows that samples are in compliance with the food safety standards as per the Food Safety and Standards Rules, 2011.” The news would certainly be music to Nestle’s ears. In June 2015, Nestle had to take Maggi off the shelves, after few states decided to ban the noodles. FSSAI had also banned Maggi instant noodles terming them “unsafe and hazardous” for human consumption. In another development, offering relief to its 7,200 employees, Nestle India’s new chief Suresh Narayanan has said that the ongoing ban on Maggi instant noodles will not result in job cuts. The company has redeployed employees who were involved in manufacturing of the instant noodles for other operations. As of now every single permanent employee of this company has his job, said Narayanan expressing the hope that Nestle would soon overcome from this situation. Nestle India had reported a standalone loss of Rs 644 million for the June 2015 quarter – its first quarterly loss in over three decades – against a net profit of Rs 2879 million during the corresponding quarter of last year.